Everyone always makes sure that they have finances. Finances are needed to buy whatever people require for their day-to-day lives, or to pay for bills that allow them to live a comfortable lifestyle. However, how do people manage their finances? How do they make sure that they don’t use up more than they need? 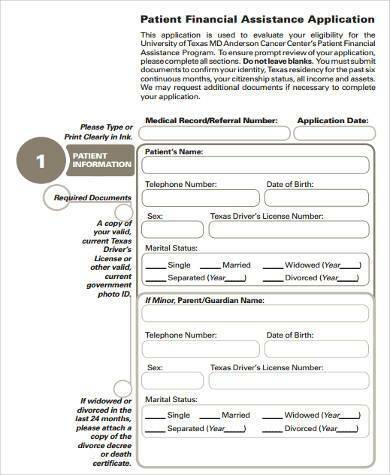 Financial Assistance Forms help people figure out how they should properly manage their finances. 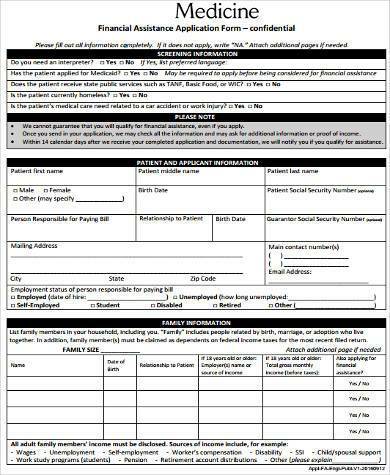 Patient Financial Assistance Application Forms are forms used for those hospital patients that need financial assistance. 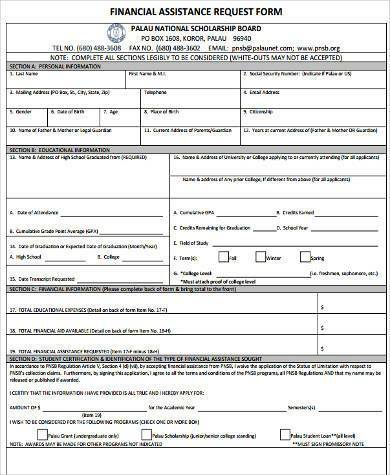 Seniors Financial Assistance Application Forms are forms used for senior citizens who are lacking in finances to live daily. 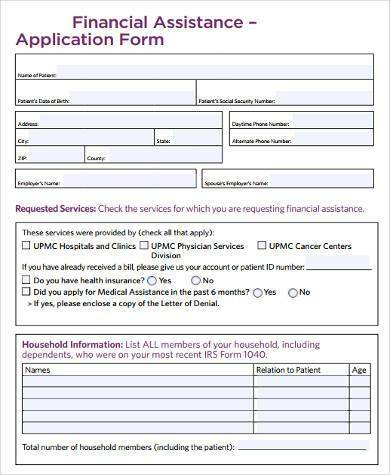 Medical Financial Assistance Forms are for those who need emergency medical assistance and don’t have the necessary funds. 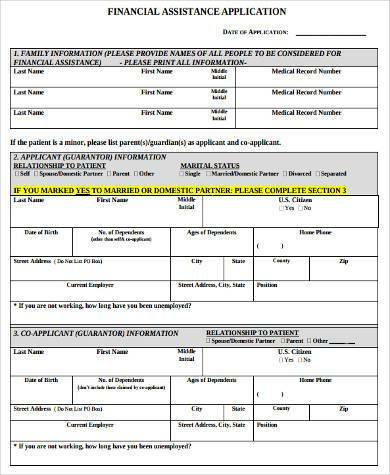 Financial Assistance Application Forms are used for those people who need to apply for financial assistance. 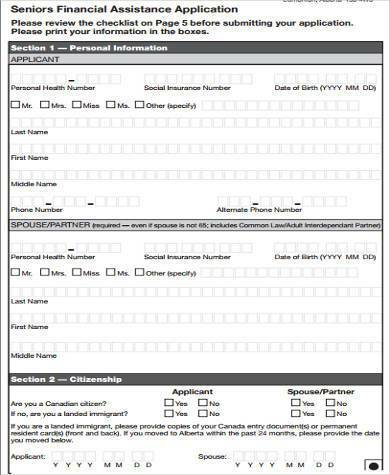 Financial Hardship Assistance Forms are for those who are in dire need of financial assistance due to different instances of hardships. 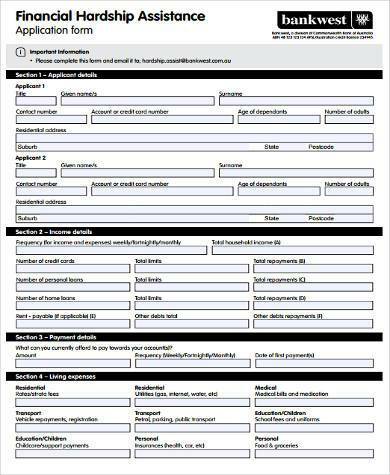 Estimated Financial Assistance Forms are used to estimate just how much financial assistance someone needs and how much finances he may acquire. 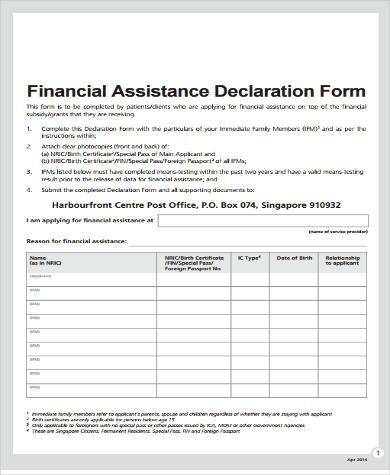 Financial assistance is very important as it can help those people whose financial status is in high peril. 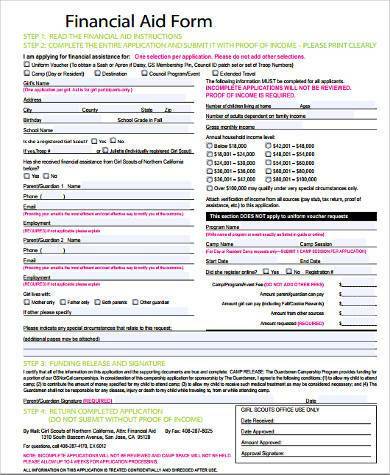 Companies can offer financial assistance to those who really do need them. Having finances is a necessity for people to live their day-to-day lives. If they’re going to ask for financial assistance, then they’ll need to know how to handle their finances. It’s very important for anyone to know how to manage their finances. People, especially those whose financial status is close to broke, need to make sure that they learn to use their finances wisely. Otherwise, it could result to certain things such as a loss of property. 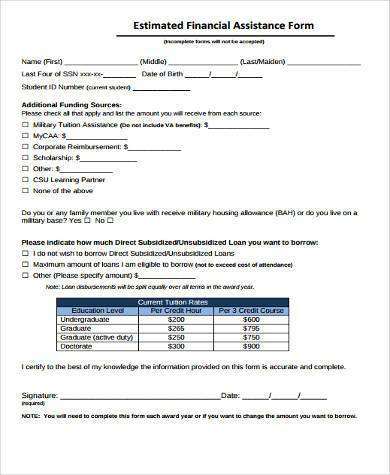 If they feel like they can no longer manage their finances on their own, then financial assistance comes into play. If people feel like they need help, then they can always hire a financial expert like an accountant to manage their revenue and expenses for them. So long as people don’t stay in the red, they can be assured that they’ll live comfortable lifestyles. Otherwise, they’ll be in serious need of learning how to manage their funds.